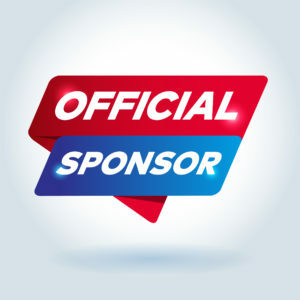 Learn about great opportunities to promote your organization and help at the same time on our Sponsor page. Ayres Associates has been providing mapping and survey services throughout the Upper Midwest for nearly 60 years. Throughout our history we have remained on the forefront of the geospatial industry by offering a smart blend of traditional and contemporary technologies to support a wide range of public and private services. Our broad experience with land surveying, LiDAR, aerial imagery, and GIS enables a turnkey and efficient approach to each project. We also recognize that a successful project brings clients into the design process to customize the solution to better suit budget, schedule, and situational conditions – whether that’s a jurisdiction, corridor, or project site. Continental Mapping Consultants, Inc. is a leading provider of high-quality, innovative, and comprehensive photo-grammetric mapping, land survey and geospatial development services to private and public clients. Since October of 1999, our small business values have driven our highly technical and dedicated staff to create quality and consistent data products and services for our diverse clientele. It is Continental Mapping’s mission to deliver high accuracy surveying and mapping solutions to solve business problems and find mapping solutions to support the defense and intelligence community. Continental Mapping expertly applies geospatial solutions to many industries and prides itself on working with each client to determine the best solution for their business needs. Using multiple sensors including satellite, lidar, and aerial imagery, on varying platforms, supported by our land survey team, we deliver high accuracy mapping solutions using the latest technology. SharedGeo is a nonprofit dedicated to helping government, nonprofit, education, and corporate entities use mapping technologies and share geographic data for the public good. Past and current project partners include federal, state, tribal, county and municipal entities.